Note that all fungal data are from Brown et al., 2012, Science Translational Medicine. 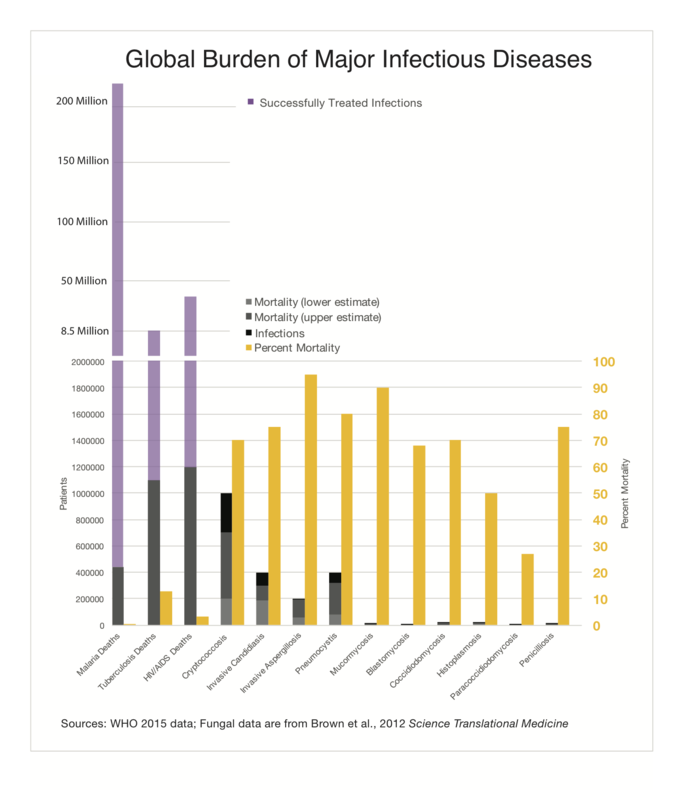 Malaria, TB, and HIV/AIDS data (deaths and treated infections) are from the WHO (2015). 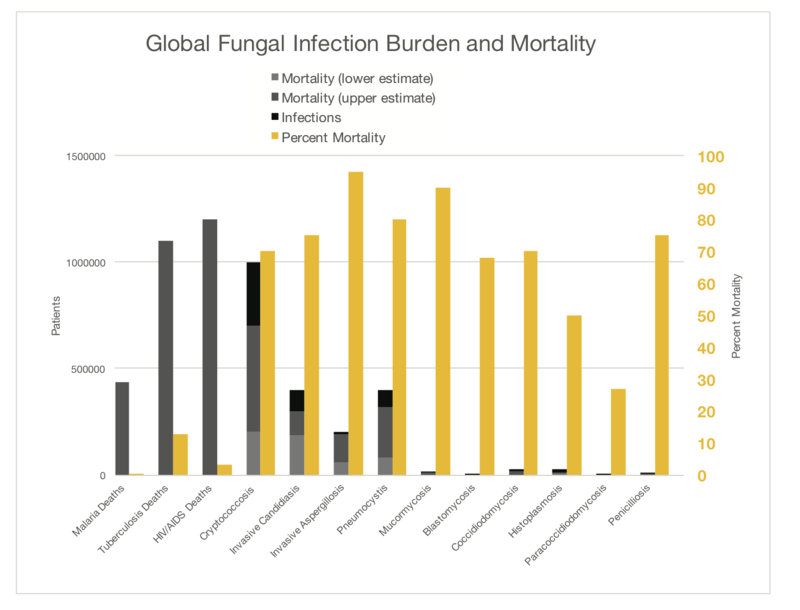 Lower and upper mortality estimates, which can vary significantly by nation and access to care, are shown for fungal diseases. 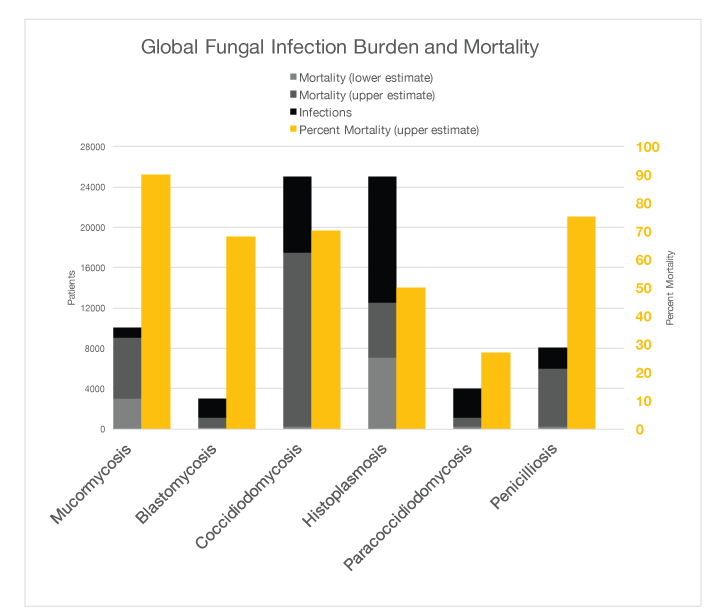 Due to a lack of available global data, fungal deaths do not take underlying disease into account. The same data without treated infections and without the major diseases are represented below for clarity. How can we become better teachers? The Ballou lab is hosted in the MRC Centre for Medical Mycology at the University of Aberdeen. We study how the basic cell biology of the human fungal pathogen Cryptococcus neoformans facilitates survival within the host. Hi Elizabeth! Can you please explain the criteria for upper and lower estimates of mortality. Also what is meant by infections in already infectious diseases?